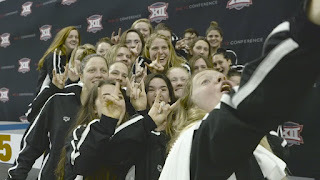 The Big 12 Swimming and Diving Championships starts(started) today. There were some time trial swims that have already happened. 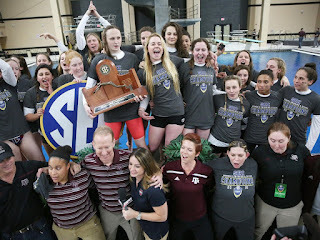 UIL has posted the official automatic and call-up qualifying swimmers to their website. I feel pretty good about these. Once again, please email me if you see a mistake. I will have to mess around with the Region 2 results if they aren't correct in the morning. Going through edits right now. Added Mansfield to the boys 200 medley relay. Please email with corrections. I did this pretty fast imo :). 1st edit: Fixed Boys 400 Free Relay. 2nd edit: Boys 100 Free. 3rd edit: Boys 100 Free again. Sorry to that 8th call-up. 4th: Added Alamo Heights to the boys 200 free relay. Automatic qualifiers, also known as the 1st place finishes from each region. I will update this post as more results come in. Please note: The tie in the girls 100 breaststroke from Region 1 goes to the faster prelim swim, which is what is listed here. 2nd note: These results are unofficial. UIL will have the official results.